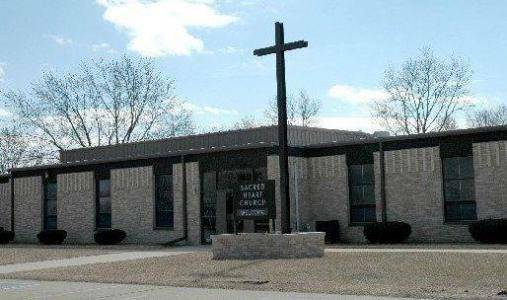 We are a Catholic cluster of three parishes located in Tama and Blackhawk Counties, Iowa. 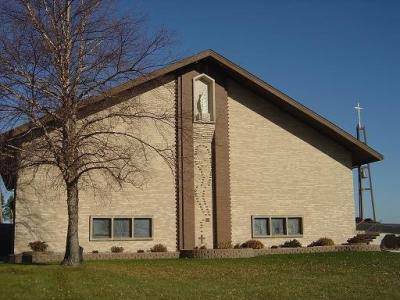 These parishes are Sacred Heart located in LaPorte City, St. Mary of Mt. Carmel located near Eagle Center, and St. Paul located in Traer. We were clustered in July 2006. Our cluster offers a variety of activities designed to meet the spiritual, pastoral, and social needs of area Catholics. Each parish has its own programming and identity, but we share resources to better serve the wider community. Our cluster purpose is to welcome and inspire the community to share and nurture our Catholic faith through prayer, sacraments, service, and love of God. Our core values are community (understanding, caring and addressing the needs of individuals, couples and families), encouragement (giving hope, inspirations and support to others), excellence (maintaining the highest ministry standards that bring glory to God in Faith Formation, sacred liturgy and community service), and prayer (communicating with God in words, in song and in the silence of one's heart). Mailing address for all three parishes: St. Paul Catholic Church, 1102 Walnut Street, Traer, IA 50675. Website contact: Alice McGrath 319-830-9759 cell or e-mail amcgrath@iowatelecom.net. Mass times rotate every 4 months in January, May, and September on the first full weekend (Saturday and Sunday) of the month. See "Mass Schedule" tab for current schedule. Monday through Friday 8:30 am - 4:30 pm. Closed on Tuesday mornings.